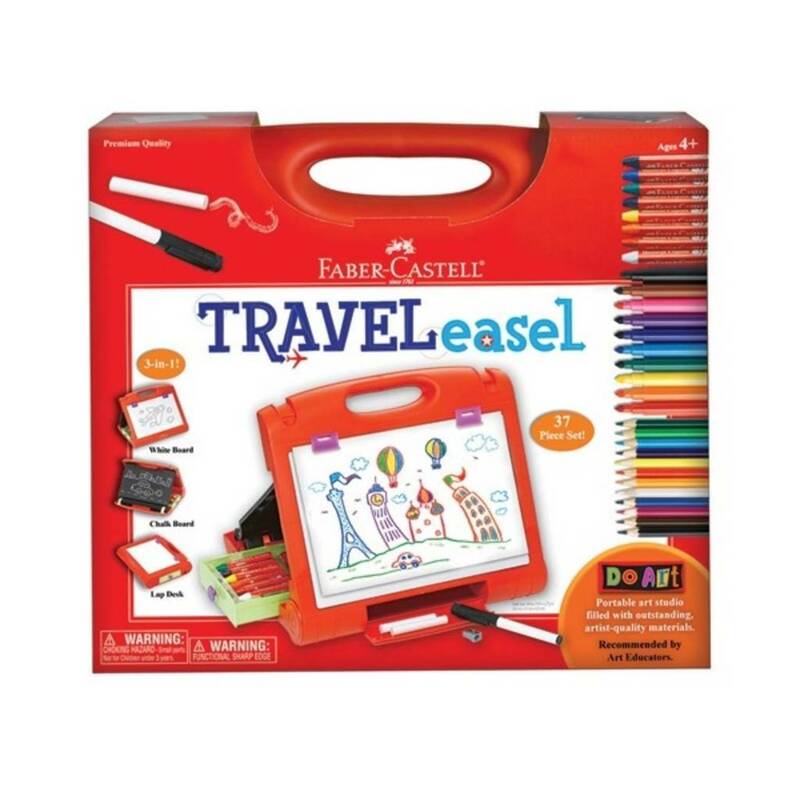 The Do Art Travel Easel by Faber-Castell is a perfect gift for young beginning artists. 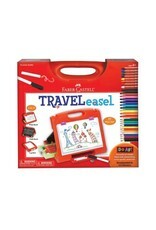 The red plastic storage case is filled with over 30 premium Faber-Castell art materials. 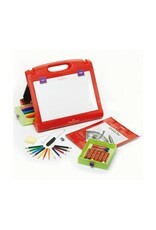 The multi-functional case opens to become an easel which holds a pad of paper. One side is a white board, the other side is a chalk board. 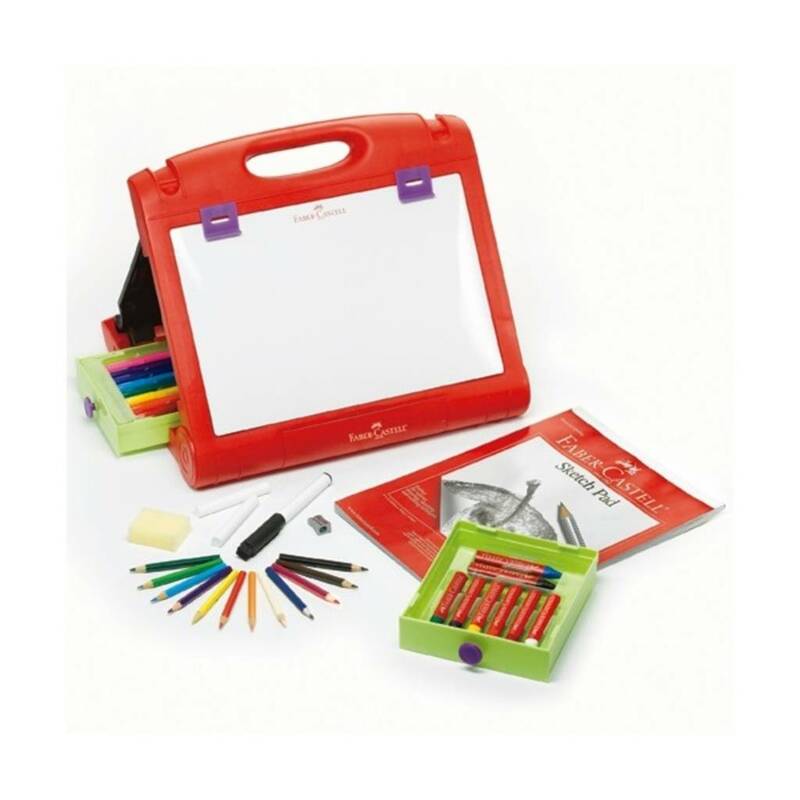 When you're done, just gather all the pieces up and store them in the handy portable case. Storage case dimensions: 2.5" x 14.5"x 13"; weight 3.6 lbs.